For several years, business leaders have been abuzz about digital transformation. But as much as the phrase gets thrown around, many executives and other employees may still lack an understanding of what it means to digitally transform their company—and what that transformation will require. Most executives agree that a digital transformation is necessary in order to combat competitive players, keep pace with disruptive technologies and evolve with shifting consumer expectations. 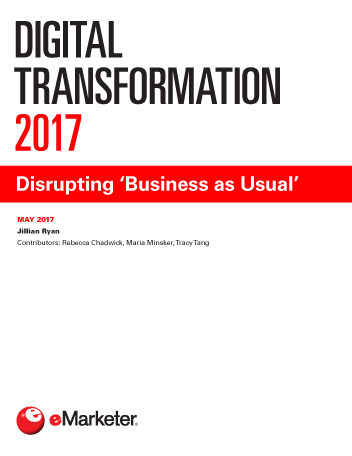 Still, many are unsure of how to start the process, or even of what exactly digital transformation entails. Business leaders shouldn’t get lured into adopting digital technology just because it is new and innovative. Technology is the means to transforming, not an end in itself. Instead the focus should be on setting a clear goal for the future, and then settling on a strategy based on that vision. Not all businesses are prepared for transformation: Multiple factors can prevent these programs from working. However, experts agree that if companies don’t transform, there is an increased risk that they will be disrupted by an upstart or another company that gets to market first. Senior leadership needs to be an internal mouthpiece for change, and the transformative vision must be communicated throughout all levels of the organization. Employee training, hiring the right talent and cross-team collaboration are also critical. Marketers may find themselves responsible for leading the charge. In many cases, a digital transformation is about meeting the customer’s needs—a common responsibility for marketing teams. By its very nature, a digital transformation has no firm endpoint. As a company gets closer to its future vision, the process keeps evolving. However, there are many metrics that can be used to gauge how successful the efforts have been thus far. "When asked about their attitude toward innovation and disruptive growth, 77% of CMOs worldwide surveyed by Accenture in March 2016 agreed that marketing has a critical role to play." This content is available to eMarketer PRO customers only. Request a live demo of PRO today to see what you can gain with access.